Expanded fertiliser production by PT Pupuk Kaltim in Indonesia meant that the company needed to install an additional loader and tripper. The presence of an existing loader, along with weight bearing limitations on the jetty, required a custom-made solution from Siwertell. 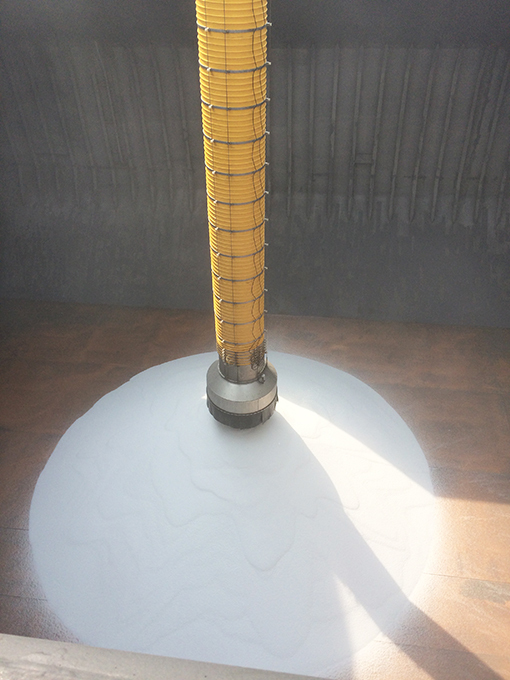 To meet the needs of its expanding fertiliser operation in Indonesia’s north Bontang district, owners PT Pupuk Kaltim needed to source a suitable loader and tripper for handling urea, an aggressively-corrosive material. 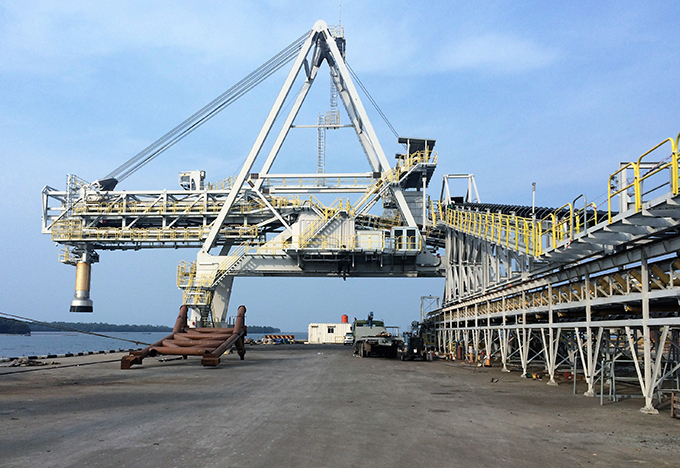 The presence of an existing loader and conveyor restricted the space available for additional machinery, while the nature of the jetty construction meant that care had to be taken to avoid overloading the structure. The low level of the jetty conveyor dictated an unusually high tripper. Siwertell proposed a tailor-made solution taking into account the limitations imposed by the design brief. Resistant materials and special surface coatings were specified to limit corrosion. Careful attention to spreading the wheel loads evenly ensured that the jetty could safely support the additional machinery. The total weight of the loader, including the counterweight, is 270 tonnes, while the tripper weighs 42 tonnes. 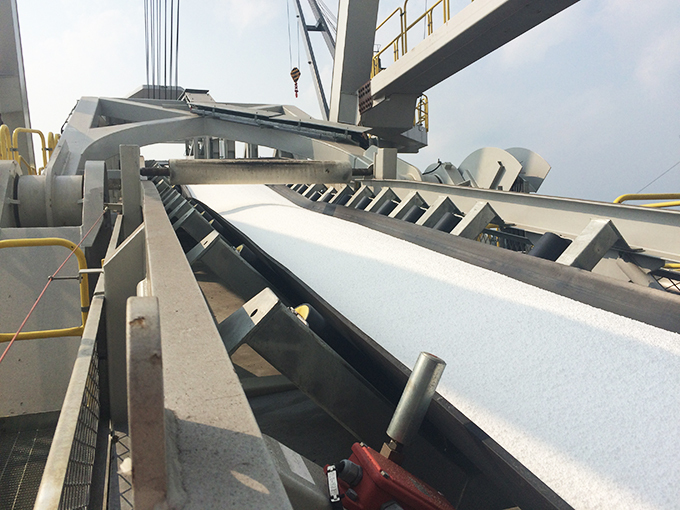 Siwertell designed a 10m-high tripper to address the low level jetty conveyor. The customer accepted the design and placed its order in 2013. 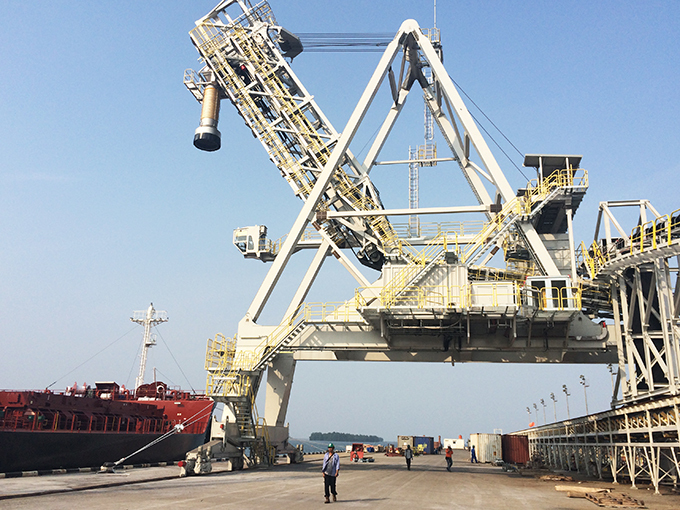 The SBL 1400 TL Siwertell ship loader was delivered in sections early in 2015. It was assembled under Siwertell supervision and was commissioned in August 2015. The tripper was manufactured locally in Indonesia. 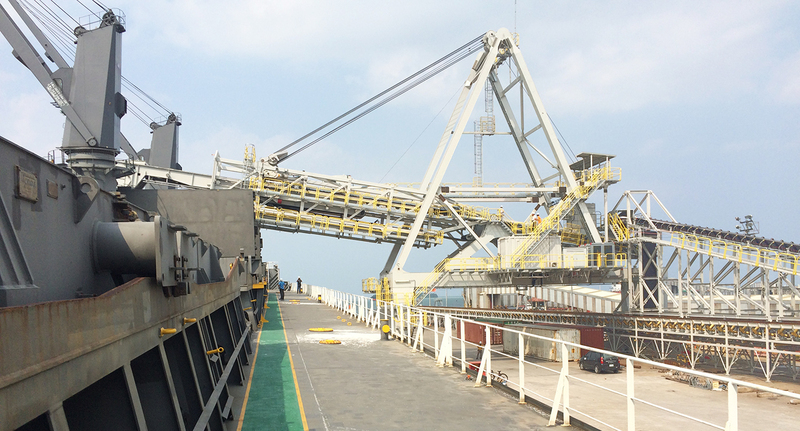 The new machinery meets its design criteria, loading vessels up to 40,000dwt at a rated capacity of 1,000t/h. The customer is very satisfied with Siwertell’s design and delivery involvement in its expansion project. The new loader works in parallel with the older loader on the jetty.